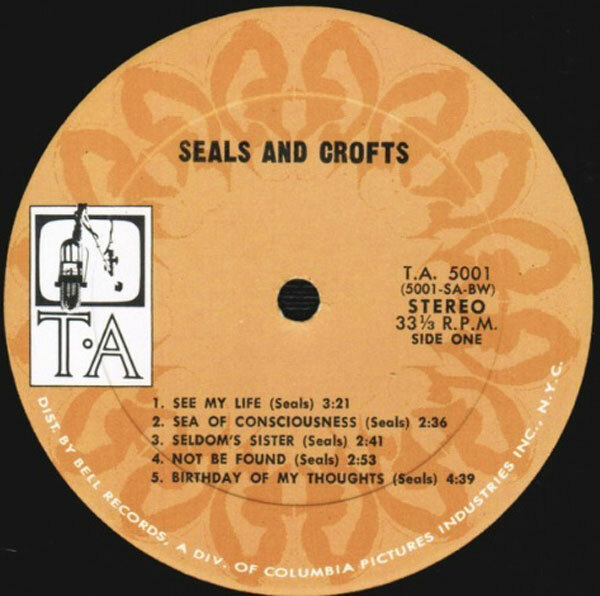 Today’s selection comes to you courtesy of the very early, little heard work of Seals and Crofts. If you – like me – grew up in the 70s, Seals and Crofts hits like ‘Summer Breeze’ and ‘Diamond Girl’ were everywhere, but I had no idea that the duo had been recording since the late 60s. As a soul collector I was already aware of Jimmy Seals early recordings for the Challenge label, but it wasn’t until I picked up the 1968 Uncle Sound 45 (Beverly Hills b/w I’m Gonna Ask Him) that I realized that S&C were together for years before their 1970s hits. 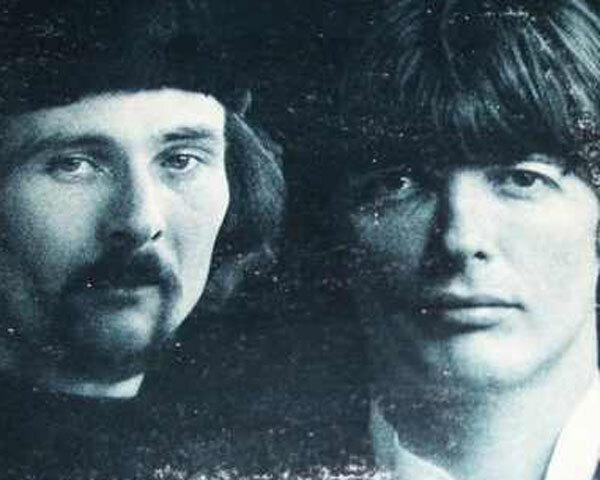 So, I pick up the Uncle Sound 45, and someone clues me in to the fact that the duo’s debut album had come out in 1969, and I set out in search of a copy. I finally put my hands on one, get it home, slip it under the needle, and suddenly hear a very familiar song (but in an unfamiliar version). As it turns out, a few years before this album, the Love Generation – one of my fave sunshine pop groups – had recorded Jimmy Seals’ ‘Not Be Found’, which S&C rerecorded for their first album. In addition to his own records, Seals had been writing songs for others, including the Walker Brothers, Rick Nelson, the Knickerbockers, and Brenda Lee. Though I have no specific information about how the Love Generation came to record his song, I can only assume that they got their hands on a publishing demo. The S&C version of the song is (as expected) a little folkier (with acoustic guitar and mandolin) than the Love Generation take on the tune (which I’ll include here for contrast), but the basic lite-psyche structure of the tune is there, complete with memorable hooks and harmonies. The rest of the album follows in the same style, and is worth picking up if you see it. Today’s selection is the 45 version of an absolutely wonderful song from one of the best sunshine/harmony pop LPs of the late 1960s. 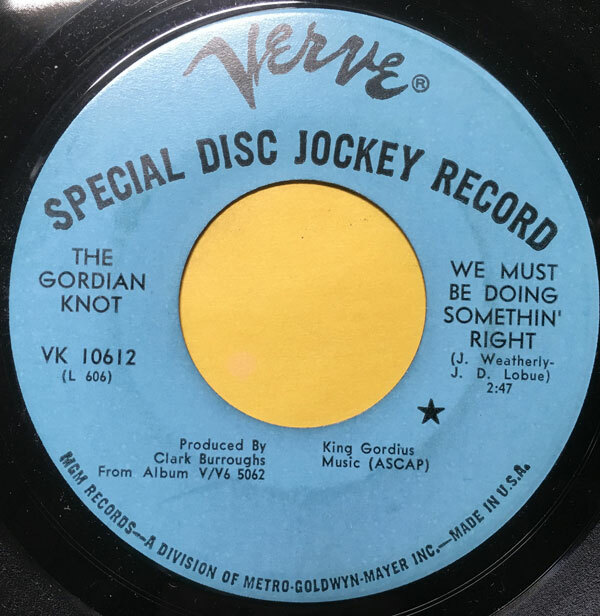 The Gordian Knot was a group of a transplanted southerners who hooked up with producer/arranger/performer Clark Burroughs (see Iron Leg Radio Show Episode #65 for a deep dive into Burrough-related sounds, including a bunch of Gordian Knot tracks). 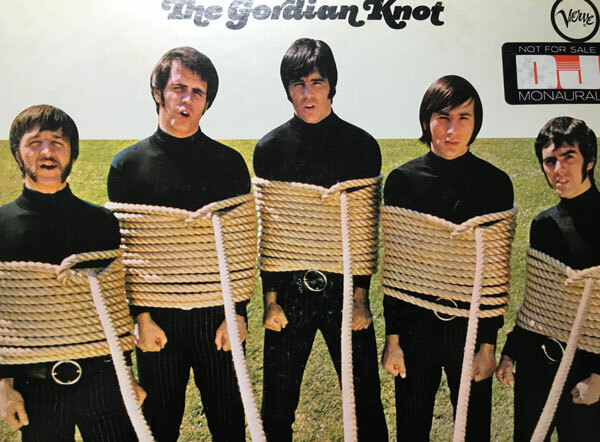 They recorded their self-titled LP in 1968 and it is one of those albums where all of the finest elements of the sunshine pop sound intersect with great songwriting, vocals and musicianship. ‘We Must Be Doing Somethin’ Right’ reminds me a lot of when I was first listening to The Millennium and other Curt Boettcher work from the same era. At first listen it almost sounds too ‘soft’, yet once you tune your ears in properly and give it a solid listen all of its wonders are revealed. The group’s harmonies, wrapped around beautiful melodic hooks and fantastic psychedelia-adjacent (in which the passive remnants of psychedelia are introduced without much of a deliberate effort to be psychedelic) sounds combine into an absolutely stunning package. The group’s album is packed wall to wall with great tunes (all composed by the band) and the vocal arrangements by Burroughs (a vet of the Hi-Los) are great. Interestingly, the group’s lead singer/guitarist Jim Weatherly went on to write a number of hits for Gladys Knight and the Pips, including ‘Midnight Train To Georgia’, ‘Neither One of Us’ and ‘You’re the Best Thing That Ever Happened to Me’. Rev-Ola did a CD reissue in 2007 and original copies of the album can be had for 25-40 dollars (and worth every cent). Today’s selection is a testament to the value of keeping your ears open at all times, eagerly awaiting the unexpected. I do a show for WFMU’s Give the Drummer Radio, and whenever I have the time I like to tune in and dig many of the other groovy shows on the stream. One of the best is by Doug Schulkind, who’s ‘Give the Drummer Some’ runs Friday mornings from 9AM until noon, with one of the most eclectic playlists. A while back I was listening and working on something at the same time when my ears perked right up at a dose of sunshiney wonderfulness that I hadn’t heard before. I checked the playlist and discovered that the group was The Guild, and the song was ‘The Sun Shines For You’. The biggest surprise was the fact that the 45 had been released on the Chicago soul/funk imprint Twinight Records (home to Syl Johnson, among others). I set right out to find myself a copy of the record, which thankfully was neither difficult or expensive. 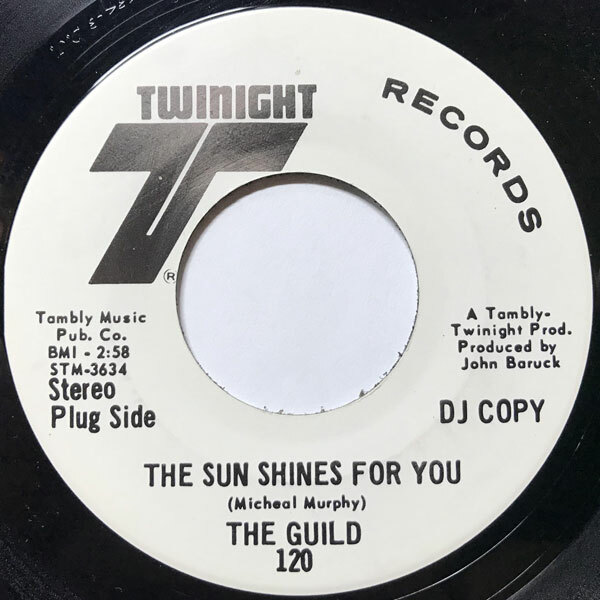 The Guild were a St Louis, MO based group that was together through the 1960s and early 1970s, recording this 45 in 1969, and another for Elektra in the early 70s. Interestingly enough, they had none other than Michael McDonald in their ranks early on (but not on this 45) who played in a number of St Louis bands including the Delrays. ‘The Sun Shines For You’ is a simply beautiful, yearning, hook-filled number that reminds me a lot of the later New Colony Six stuff. The harmony-filled chorus is just amazing, and it’s one of those records that I find myself listening to several times in a row whenever it pops up. 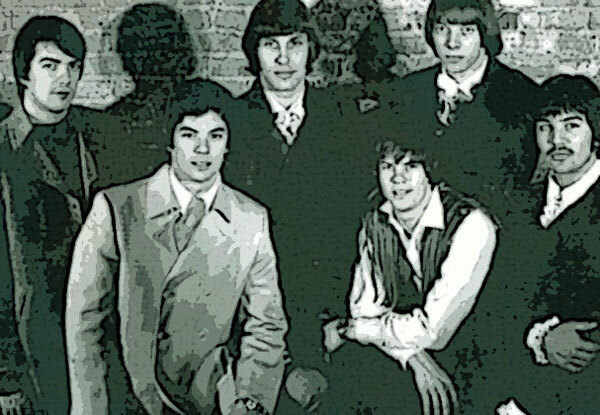 The Guild were apparently a popular touring band in the Midwest, and ‘The Sun Shines For You’ charted in Ohio and Wisconsin in the Fall of 1969. It is a very groovy number, indeed, and I hope you dig it as much as I do.